Awesome product, stinks of quality. When you get your hands on it you realize you've gotten more than your money's worth. I added an MSR Silt stopper to mine and find that I rarely need to backwash if at all. 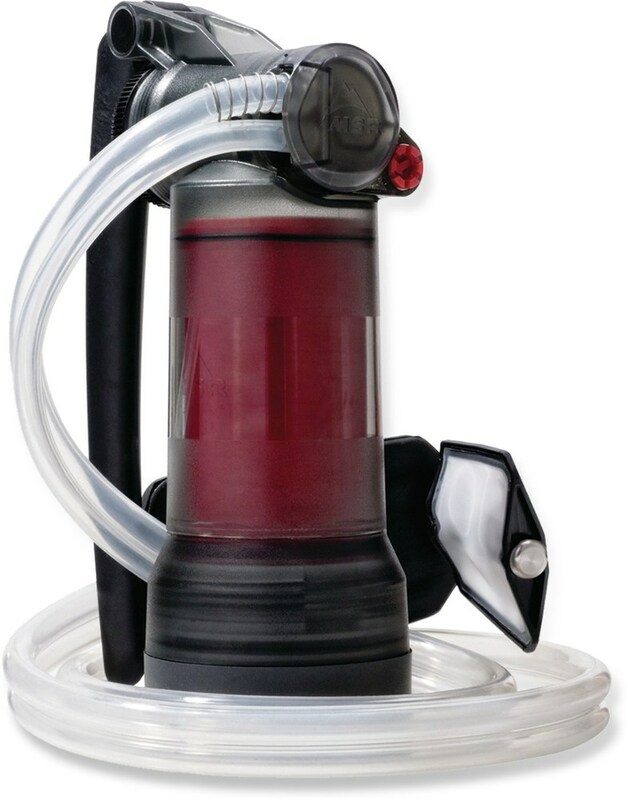 This unit can be configured with the included gravity feed bag for zero effort/calorie water filtering. Go ahead and replace your existing system with this unit. it's a pleasure to use, super efficient, flexible, reliable, it will leave you wishing all your other gear was as well thought out, constructed/functional. Not high maintenance, just high performance. This is a great purifier just remember to get the XL which has a greater gallons/cartridge capacity. YOU HAVE TO BACKWASH OFTEN WITH A BLEACH SOLUTION. Sorry for the CAPS but this is one purifier that heavily relies on frequent backwashing to keep up performance. The manufacture recommends using a couple of drops of bleach in clean water often. I called and asked! Don't leave home without it and bleach and Always have a plan "B" if the device fails. What the plan "B" entails is up to you. Quick and easy to use, back flush, and clean. Very high quality. A bit heavy compared to other filters, but the peace of mind it gives is worth the extra few ounces. 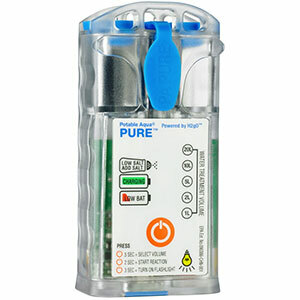 This purifier gives me the peace of mind knowing my water source will not make me sick. It is effective against bacteria, cysts, and viruses plus it removes giardia and cryptosporidia while using no chemicals to treat the water. The purifier removes chemical contaminants and pollutants such as pesticides. 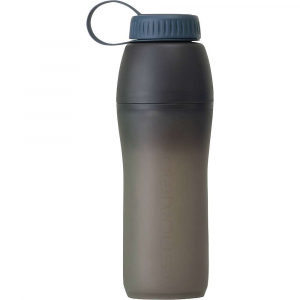 It provides you with pure clean water to drink and cook with. 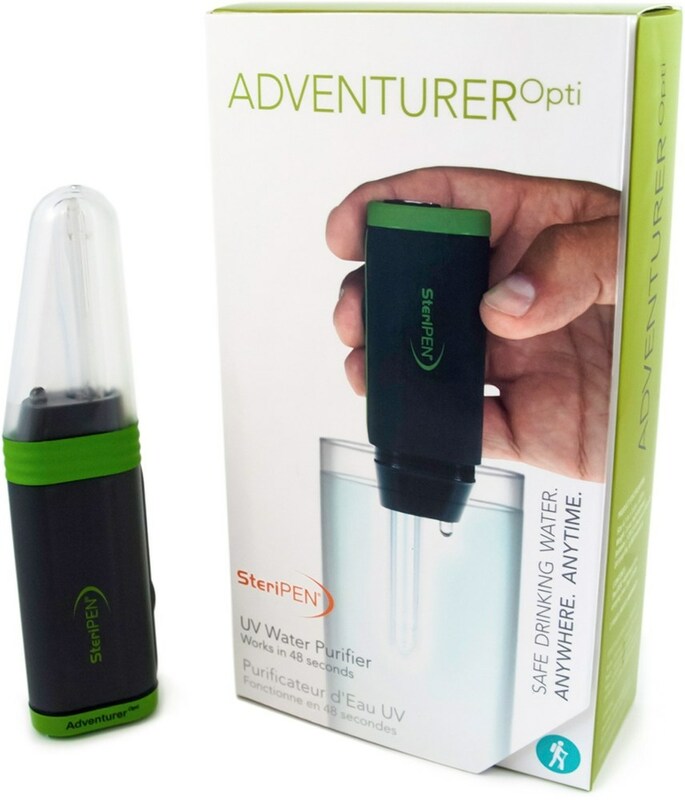 It is very easy to use and provides a liter of water in about a minute. The dual action pump saves the user energy by supplying water flow with each up and down motion. You can connect it to most water bottles and bladders. The filter body has a life of approximately 150 gallons. I have used this product for over two years and trust it completely. We have had this pump for 3 years now. Although it is a little bulky and could be a bit more ergonomically designed, it has been a lifesaver for us. This little purifier gives me peace of mind when we are camping. 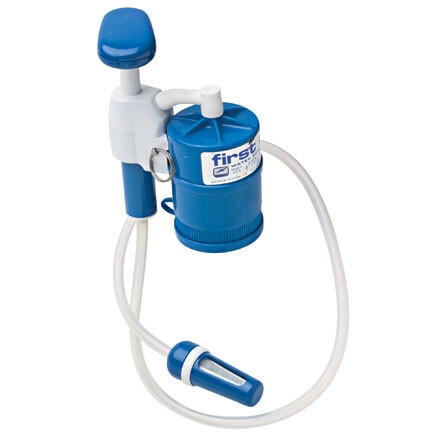 It is a relatively quick and efficient way to provide safe clean water for drinking. The pumping mechanism is not as ergonomic as I'd like, but it is a small price to pay for health. We use a lightweight collapsible bucket which fits inside the stuff sack with the pump to fetch water from the stream or lake. This adds another level of safety as you are not perched on a rock or steep bank trying to pump water directly from the source. This purifier has a 0.1 micron ceramic filter which is small enough to eliminate viruses. We do not have to backwash it often because most of the places we hike have crystal clear waters without a lot of sediment. The device weighs about a pound and it is sturdy. You do have to be careful in the extreme cold because water in the ceramic filter could freeze and break the cartridge negating its filtering value. We've had it 3 years now and it has made many day and backcountry trips without damage. Still looks almost new. 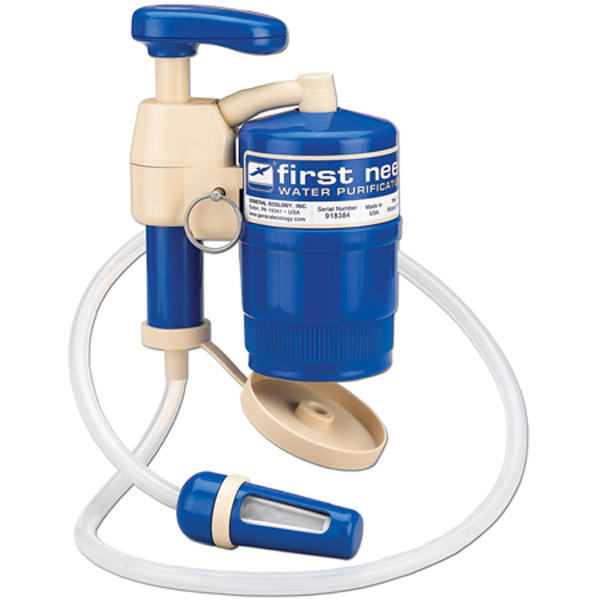 The First Need Deluxe Water Purifier XL is not available from the stores we monitor. It was last seen August 9, 2017	at REI.